Fueled by market participants’ needs to gain a competitive edge while meeting evolving regulatory requirements, IPC has expanded its Financial Market Network with the addition of new liquidity and execution venues, on-net locations, core network capacity and Points of Presence (PoPs). IPC’s Financial Markets Network facilitates a comprehensive suite of mission-critical managed network solutions designed and operated to address the connectivity needs of capital markets firms across the front-, middle- and back- office. SEFs including TeraExchange and Javelin Capital Markets, as well as a number of IDBs, are available through IPC’s Connexus. The Connexus Financial Extranet is part of IPC’s Financial Markets Network solution portfolio which includes private extranet, DirectConnect and Managed MPLS VPN data services, as well as Trader and Enhanced IP voice connectivity solutions. 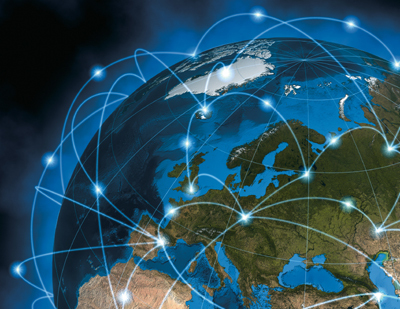 IPC’s Financial Markets Network interconnects global financial centers and allows access to more than 5,000 participants in over 700 cities in nearly 60 countries. Built on a state of the art IP/MPLS infrastructure, the highly scalable and secure Connexus Extranet supports a number of industry standard and trading protocols. IPC is a leading global provider of specialized communications solutions for the financial trading community. With a 100-percent focus on this sector and over 40 years of expertise, IPC provides customers with integrated solutions that support traders and participants across the entire trade lifecycle including sell-side and buy-side financial institutions, inter-dealer brokers, liquidity venues, clearing and settlement firms, independent software vendors, corporate finance departments, financial information exchange providers and market data providers. IPC’s offerings include a unified communications/application platform, award-winning hard and soft turrets, managed voice and data network connectivity solutions, trading communications infrastructure management and dedicated service and support. IPC’s global reach extends to more than 60 countries – including a network of 5,000 customer sites over 700 cities and an installed base of approximately 118,000 trading positions deployed worldwide. Headquartered in Jersey City, New Jersey, IPC has approximately 900 employees located throughout the Americas and the EMEA and Asia-Pacific regions. For more information, visit www.ipc.com.